Now that I re-read the original Trump tweet he does explicitly mention sanctions announced today by the Treasury, so that report I read is likely just spin to try and cover for another episode of communications clusterprocreating. Mueller report does not recommend any further charges. It also says there was no obstruction from the White House. Two years of investigation and bunch of charges against people associated with Trump that don’t relate to Russia and nothing against Trump. Hmm. Where did you see it saying no obstruction of justice, I haven’t seen that. That would be pretty massive if true. It’s the SDNY Drumpf needs to fear more. My bet (& hope) is they will see him Jailed for Tax fraud and/or other multiple criminal financial dealings, beginning prosecution as soon as he’s out of office. Also, hopefully, seeing most of the rest of his Family in Jumpsuits, including that smug slippery worm Kuschner. Can’t remember. Might have been ABC news. There is some thing in the US system that the President can’t be indicted, The only recourse is political, i.e. to have him impeached. But impeachment of Trump is unlikely, as discussed here many times. Yep. Which is why I think they’ll just let him roll and get voted out to avoid dissent/violence etc, and then just bury his arsse once he’s out Of Office and beyond the massive, bizzare, unholy levels of protection from Criminal prosecution it provides. No further charges are being recommended. As the inquiry was into obstruction as well as Russian links, it seems that there will be no charges for obstruction. Ok, so they are just making assumptions. As @Albert_Thurgood points out a sitting president can’t be indicted (although that is just DOJ view, it could potentially be tested but won’t be). Poor reporting from the ABC. Thanks for chasing it up for me. Poor reporting from the ABC. I doubt it was them, they would have picked it up off a US site. 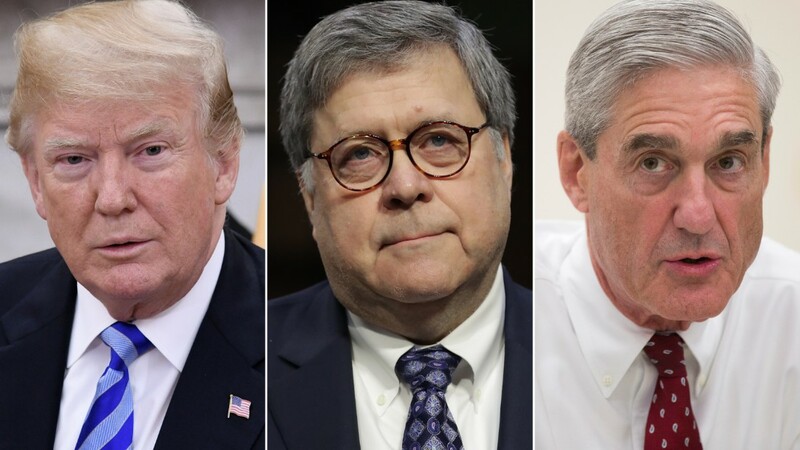 Special counsel Robert Mueller has closed his investigation into Russian meddling, and Attorney General William Barr will inform Congress about Mueller's findings. MSNBC should fold after pushing this conspiracy theory for two + years. Maddow should be wheeled off to a psychiatric ward. You should give them a good solid dressing down in an angry email. I’m sure they’ll take notice, and change their reporting accordingly. Seems the Treasury action was a blacklisting of shipping companies for evading sanctions - not new sanctions, rather , sanctions enforcement. Bolton tweeted his support for Treasury action. To what standard do you hold Fox News? There was collusion and it’s in the public domain. Whether it’s deemed to provable beyond reasonable doubt is the only question. As mentioned in this thread many times, we are highly unlikely to see a smoking gun - most legal cases don’t see a smoking gun. The analogy I have used before and still stands. If you don’t have a problem with this then fair enough, you don’t have a problem (see collusion). If Essendon is playing Richmond in the 2019 GF and the week before Fark Carlton calls Richmond and says ‘we hacked the Bombers servers, do you want to see the information?’ And Richmond doesn’t go to the AFL but says ‘if it’s what you say it is I love it’ and then organizes a meeting about it, that is collusion. It really is that simple. There are other examples and we will see whether there is enough evidence to charge the final few from the Trump campaign. There are plenty of on going investigations so this is really (sadly) the end of the beginning rather than the beginning of the end. We’ll likely find out very little about the Muller report. Even Congress is not guaranteed to receive a copy. Your analogy has little to do with the Mueller investigation. He was appointed by the Justice Dept. to oversee the investigation into ties between Prez. Trump’s campaign and Russian officials.. The whole point of the investigation was to obtain prosecutions of Americans guilty of conspiring with Russia to influence the outcome of the 2016 election and Mueller found nada.